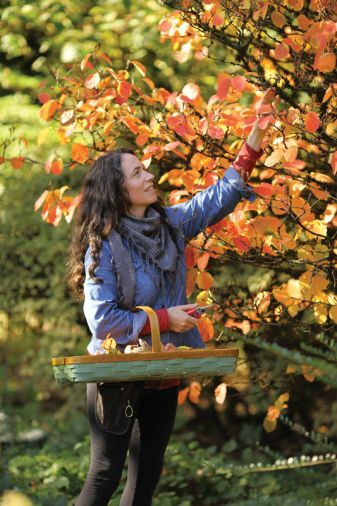 Portland Floral Designer Kailla Platt finds beauty in the simple, wild abundance of her grandmother’s garden and the fleeting colors of fall. 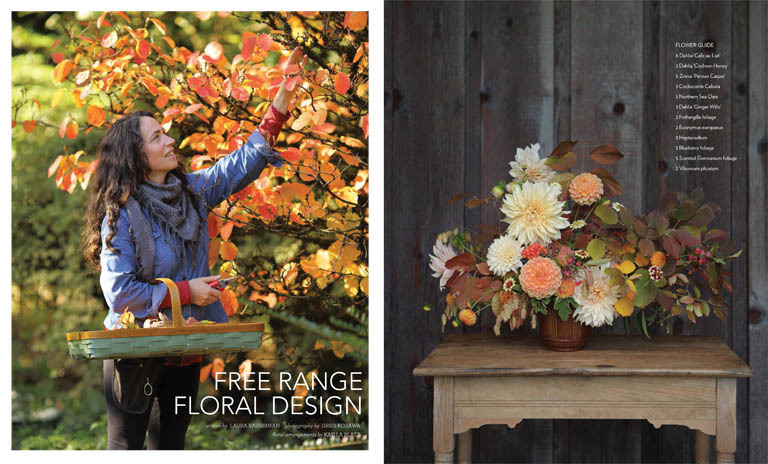 We talk with Kailla about her inspiration, her favorite fall flowers and foliage, and her recommendations for home gardeners who want to create their own seasonal arrangements. 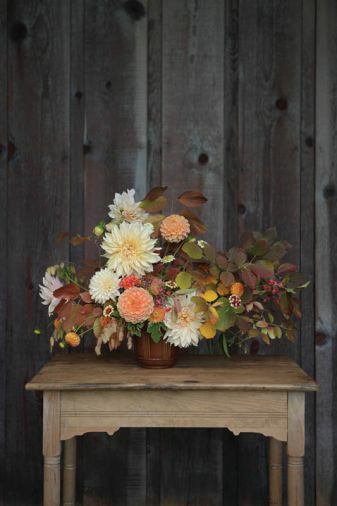 You can assemble this autumnal arrangement designed by Kailla Platt yourself by using these plants and stem count: 6 Dahlia ‘Cafe au Lait,’ 2 Dahlia ‘Crichton Honey,’ 5 Zinnia ‘Persian Carpet,’ 3 Cockscomb Celosia, 3 Northern Sea Oats, 3 Dahlia ‘Ginger Willo,’ 2 Fothergilla foliage, 2 Euonymus europaeus, 3 Heptacodium, 3 Blueberry foliage, 5 Scented Germanium foliage, 2 Viburnum plicatum. 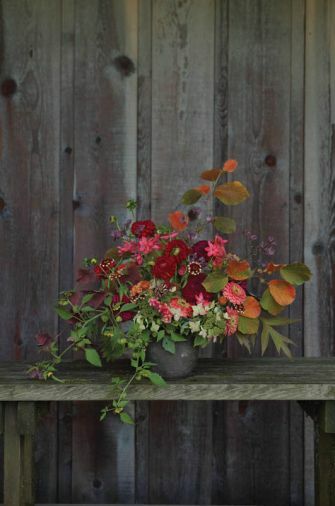 Try your hand at this fall floral arrangement designed by Kailla Platt. The bloom and stem counts are detailed here: 5 Dahlia ‘Cornell,’ 5 Dahlia ‘Jason Matthew,’ 5 Tricyrtis, 5 Schizostylis coccinea, 2 Hamamelis foliage, 2 Purple Leaved Grape foliage, 2 Tomatillo foliage and fruit, 5 Scented Geranium foliage, 5 Zinnia ‘Benary’s Salmon,’ 3 Aronia foliage, 7 Gomphrena, 6 Zinnia ‘Persian Carpet,’ 2 Lacecap Hydrangea, 1 Tree Peony leaf. Q: I absolutely love the fact you are sourcing a lot of your floral ingredients from your own cutting garden in Sellwood (SE Portland) and local farms. What were some of your favorite varieties you grew (or sourced) this fall? 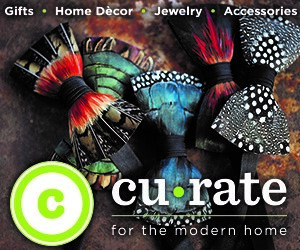 Q: Tell me about a few of the flowers and foliage that you’re smitten with this fall. Kailla: I love dahlias and zinnias. Dahlia ‘Café au Lait,’ is amazing. She is the diva girl of the dahlia world. She is big and luscious, and has lots of variety. I also like Hydrangea, particularly the lacecap, for its antiquey shadings when it’s aged. Euonymus, the European Spindle Berry, has a beautiful pink fruit that splits and is orange inside, and has really nice fall color. Any of the foliage from the Witch Hazel family – Hamamelis and Fothergilla – is great. Q: Your work contains a lot of wild and foraged elements. Do you do a lot of the foraging yourself, or do you buy from local sources? What are some of your favorite materials to forage? Kailla: I do both. I cut a lot of the woody material from my parents’ garden, which my grandmother originally planted, because it’s old and established, and I can cut there without removing a third of the plant. I source a lot of my flowers from local farms, including Rose Hill Flower Farm in West Linn. Sometimes I will ask homeowners for permission to cut at their house, like my neighbor whose persimmon tree was loaded with fruit. She was thrilled because she didn’t know what to do with it. Q: What is the starting point for your arrangements? Kailla: The woody material is the first thing I put in the vase. It gives the arrangement its shape and form, so I want those branches to have character and twist and turn. And you can’t really get those branches unless you cut them out of a garden plant. Kailla: After I start with the branches to create the framework and overall shape of the arrangement, I add a layer of greens to anchor the woody material, then add the focal and secondary flowers. The final layer is an element of texture – airy grasses that reach out and get taller, or little vines or a dainty clump of grapes that spills over the edge to give it a graceful ending. Q: You weave natural botanicals and woody material into your arrangements. Are the materials themselves your muse? Do they feel more seasonal? Or is it their wilder, more organic form? Kailla: These are just the kinds of arrangements I grew up with. I grew up on my grandmother’s garden and she was an amazing plantswoman. She always cut stuff from her garden and brought it inside. And it just made sense. She would never have done it any other way. But for a long time, arrangements and floristry got separated from gardeners and farmers. The flowers were shipped in from who knows where and arrived in these boxes, then the florists assembled them from a recipe and they went out into the world. But today, I feel like flower arranging is being given back to the gardener and farmer. Q: You often use flowers that are loose in form and dusky in tone, which gives your work a pastoral romantic look. Is this your intention or do you think it’s simply the effect of using naturally sourced material? Kailla: I think this style is just what happens when you are inspired by the garden. The naturalistic style is similar to old paintings. People make the comparison to the Dutch masters all the time, but it’s true. The florals in those paintings are so beautiful because everything is so natural – the light, the flowers, the way they kind of spill over. There was a wildness and abundance to those paintings. Q: There is a growing interest in natural or seasonal floral design. 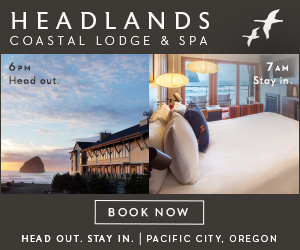 How would you define it and do you think Oregon and Washington designers like you are at an advantage because of our incredible natural bounty here? Kailla: Natural floral design is definitely trending on both coasts. 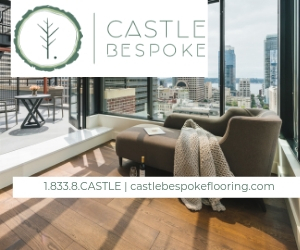 Designers can get beautiful material year round, and sourcing at least domestically if not locally is gaining traction too, but I would say that the Pacific Northwest has the advantage of mild winters, making hyper-local material so much more available. Portland gardens have a surprising variety in the winter months. It’s this material that I think keeps the arrangements interesting. Q: What advice would you give to our readers who want to add natural elements like unripened berries, woody seedpods or other foraged material into their seasonal arrangements? Kailla: Start in the garden. Look for an interesting branch or stem to give an arrangement its shape. And don’t worry about cutting it out because it only takes a single branch. Dogwood trees and shrubs are common. They’re gorgeous in the fall and cut really well. As fall turns into winter, you don’t even need flowers. You could focus on texture instead with magnolia buds, small-leaved evergreens like Pieris or Sarcococca or even store bought succulents. If you do want flowers, you can buy potted amaryllis or paperwhites, or use roses grown here year-round by Peterkort Roses. And don’t forget to keep adding water because flowers and woody material take up a lot of water, especially the first day in a vase. Q: Finally, is there any chance you might offer classes or workshops in the future? Kailla: It’s not a top priority for me right now, but if the right venue or situation presented itself, I would consider it.